← Is Your Non-Profit The Best Available Donor Option? Becky Morris, my business partner, returns to The Intersection of Purpose and Now with today’s blog, grounded in the personal experience that makes all of Becky’s articles so powerful. 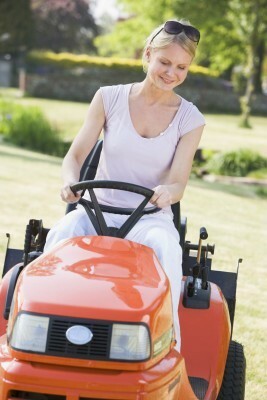 Many of my female friends cannot understand the pleasure I get out of mowing my lawn. For them it seems to be a job that involves heat, bugs and little satisfaction. For me, it is quite the opposite. The heat doesn’t bother me and the desired results are very rewarding because they are instantly visible. When recently meeting with a client, I heard from an employee that she is getting very little satisfaction from doing her job. She knows what is expected of her and accomplishes these tasks at the level her organization requires. So why the discontent? She does not see the connection between her role and the goals of her organization. In fact, she is not clear on what the desired results are other than holding a certain number of “training” classes each quarter. There is little or no connection between these classes and the organizational goals. Do you have the tools that will identify the gaps between the goals of your organization and the daily functions of those working in the organization? Assisting in narrowing these gaps not only allows organizations to be more successful, it increases job satisfaction because employees have a better understanding of why they are doing what they do. Sound familiar? Let us help. This entry was posted in goals, job satisfaction. Bookmark the permalink.